How to increase outdoor advertising visibility and readability by following these seven important design tips. Before starting any outdoor advertising design project, it’s important to understand that readabilty is the primary goal to making sure a billboard can be read quickly and from a distance. Here are seven crucial tips to help make your next billboard a success. An important question to ask is does your message communicate simply and effectively within 6-10 seconds? That’s how long your viewer will have an opportunity to see your ad. Remember, if your ad is on a highway, cars are traveling at an average of 55 mph or more. 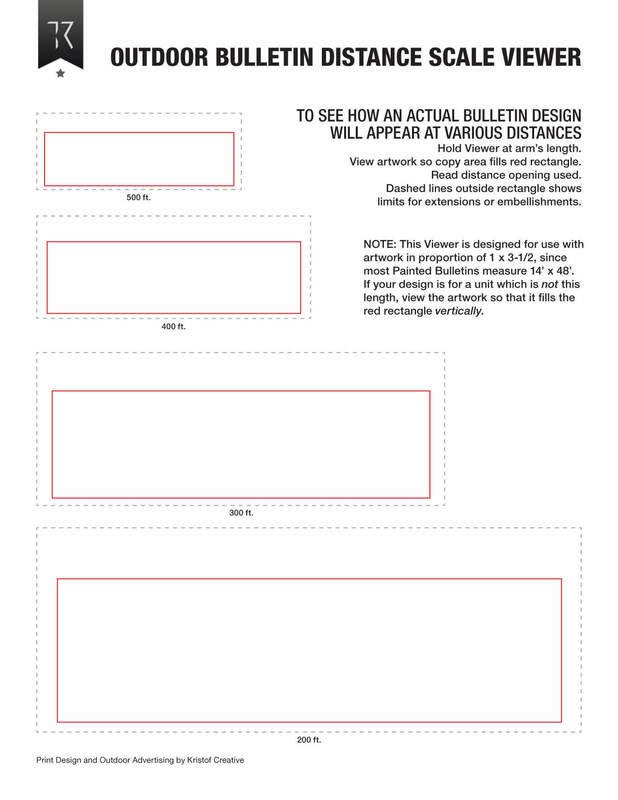 To help assess readability of your artwork from different distance, our handy Outdoor Bulletin Distance vs. 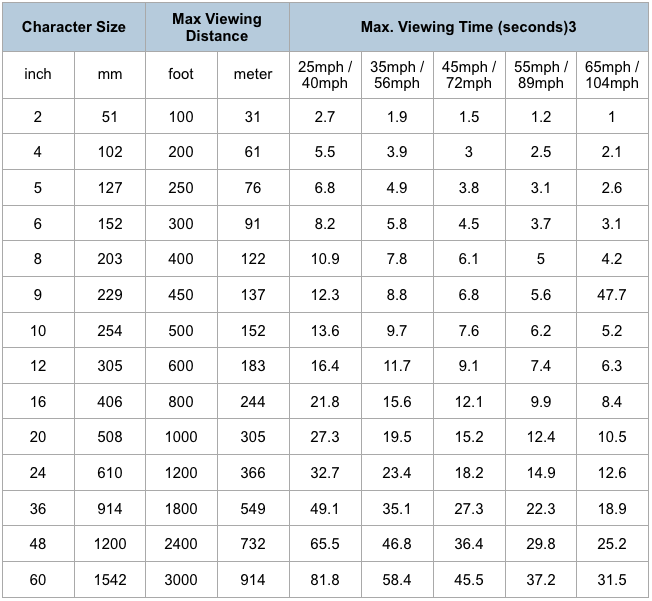 Scale Viewer is displayed below. Is the text contrasting in color with the background? Use a PMS or other color system. If you have an image, make sure it attracts the eye separate from the background and the copy. Do the background colors contrast with surroundings? (e.g. sky, buildings, backdrop of board). Are the colors used primary and secondary in nature? For example, color combination’s that work are blue and yellow or red and black. Whereas, colors such as purple and yellow, or red and green vibrate together at too high a frequency and do not tend to be as effective. Using an image along with a headline is a good start as the image attracts the eye and then the headline gets read. Also, the image can have lasting impact (e.g. Chick-fil-A cows). Dogs and other animals can be very effective. Extensions on billboards help make your message stand out. Most billboards in a given area will be a standard size so if you can extend your board higher it will be more noticeable (e.g. From a 14′ x 48′ to a 17′ x 48′). Further, extending an image beyond the board can be very eye-catching and memorable. If you found this information helpful, don’t miss the Ultimate Collection of Outdoor Billboard Sizes listing the Trim, Live Area, and Mechanical specifications for over 70 outdoor billboards, posters, bulletins, and Digital billboard displays.